Since my bread making class and my trip out to Mr. Martin’s farm last weekend, I was inspired to use some of the goodies I had purchased from the farm and try my hand at baking something I’ve never tried before. My friend G was coming down for Sunday night dinner and so I decided to be creative and bake a stromboli. If any of you remember my trip to Scarpetta (my February restaurant of the month), the stromboli they offer at the beginning of the meal was one of the memorable foods I gobbled down that night. 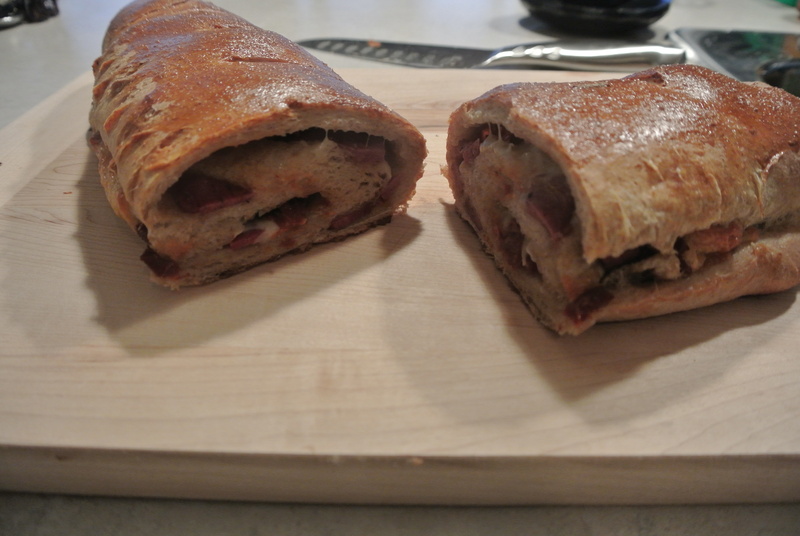 For my stromboli, I chose to use the same honey whole wheat bread recipe that I learned at my bread making class and the filling: summer sausage (purchased at St. Jacob’s farmer’s market), sundried tomatoes and mozzarella. 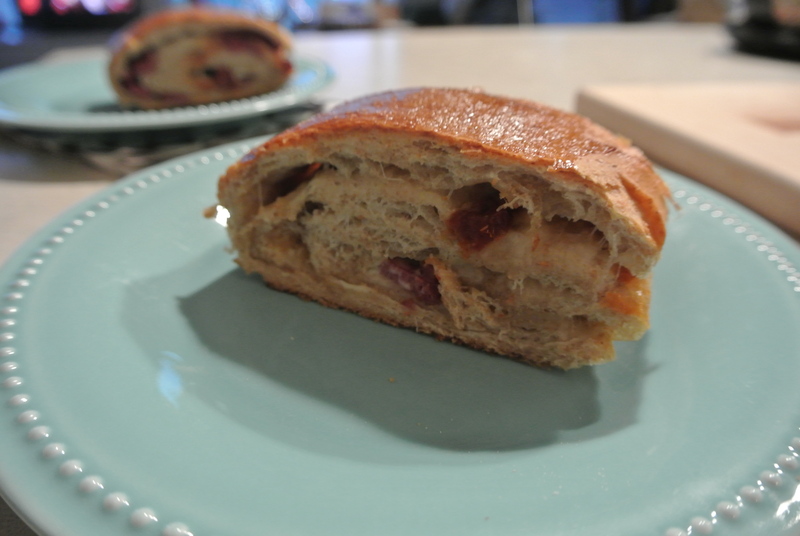 After kneading the bread and leaving it to rise, I rolled it out and spread a layer of the tomatoes, the oil it was packed in, summer sausage and mozzarella – then rolled it up and sealed the edges. I finished it by brushing an egg wash on top to make it pretty. I have to admit, for a first try – it was tasty! 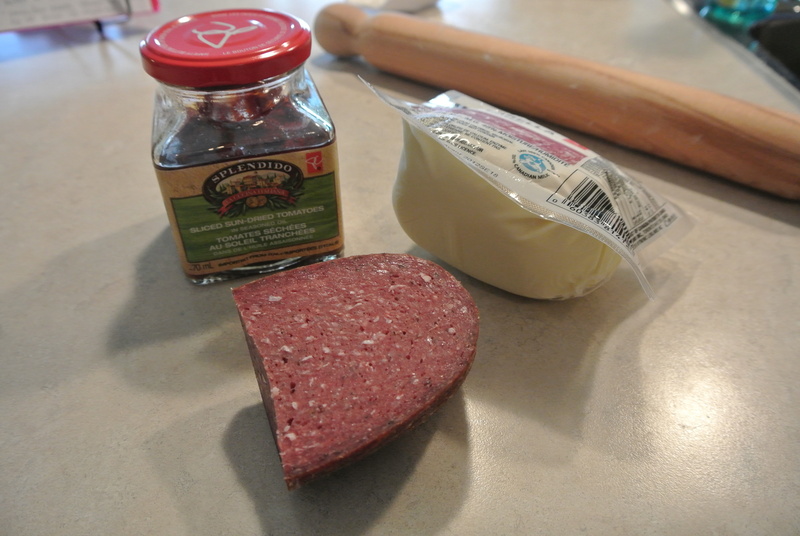 My ingredients for the stromboli: sundried tomatoes, summer sausage and mozzarella. 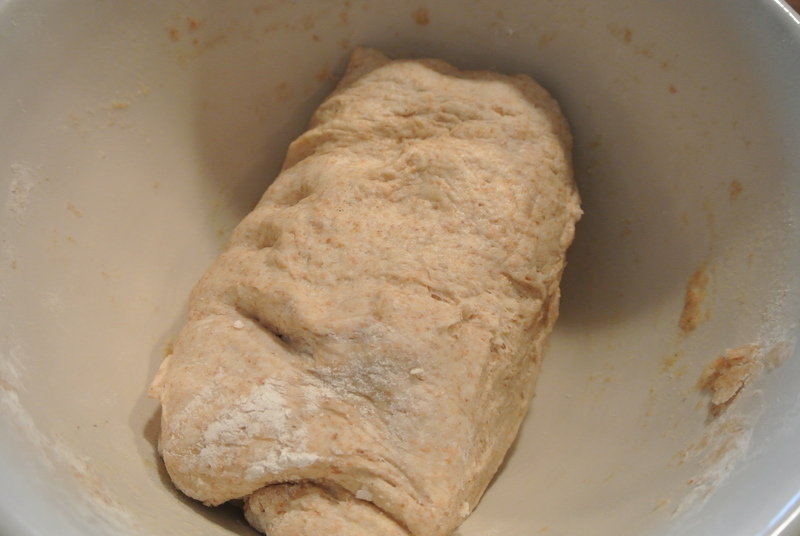 My bread dough left to rise. 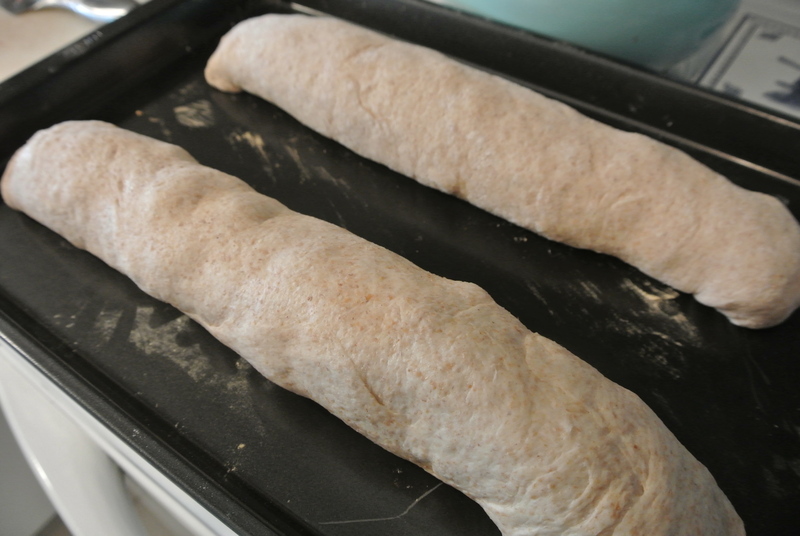 My stromboli after its second rise and ready to go into the oven. 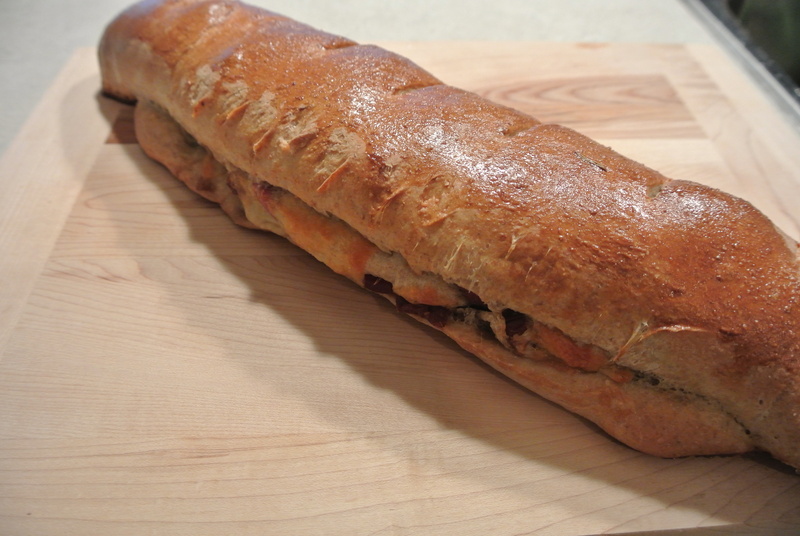 Fresh stromboli right out of the oven!